Neptune semi-frameless shower screen takes flexible design and strong performance and wraps them up in a pretty package. The Neptune is square cut, glazed with silicon, offering inspiring performance. 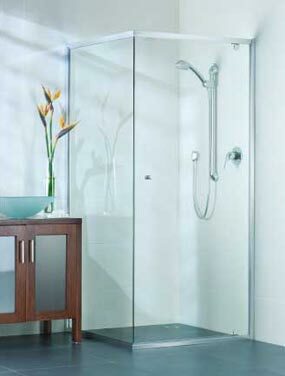 The Neptune provides a timeless semi-frameless shower enclosure design that brings fresh form to any modern bathroom.